Ohio House Bills 388 and 436, more commonly referred to as “Annie’s Law,” became effective on April 6, 2017. These bills bring significant changes to Ohio’s drunk driving laws. Every motorist should be aware of these changes, as well as employers who have employees that drive company vehicles or drive as part of their job duties. Under Ohio law, drunk driving is referred to as Operating a Motor Vehicle While Intoxicated, or OVI. It is also commonly referred to as Driving Under the Influence or DUI. The first significant change is a longer “look-back period” for prior OVI convictions. Prior to April 6, if a driver was previously convicted of an OVI and was cited for another within six years, the penalties for the second OVI were greatly enhanced. Under Annie’s Law, the look-back period is now 10 years. For drivers who are convicted of a second OVI within 10 years of their first, this means that their punishment is now greatly enhanced. The second major change involves the law’s major emphasis on the use of ignition interlock devices to reduce the length of license suspensions and to expand the type of driving privileges granted while a license is suspended. An ignition interlock is a breathalyzer installed on a car, which is connected to the car’s ignition system. In order to start the car, the driver has to blow into the breathalyzer and register a Blood Alcohol Concentration (BAC) below a preset limit. If the breathalyzer registers alcohol, the car will not start. Additionally, while operating the vehicle, the driver may be prompted to take the breathalyzer test again to make sure the driver is not drinking while driving. For those vehicles with an interlock device, any time the driver blows above the limit, that information is stored and available to a probation officer or the court. Under the old law when a driver’s license was suspended, driving privileges were largely limited to driving during certain hours and days only for work, school, or medical appointments. Under Annie’s Law, if a driver agrees to have an ignition interlock device installed on the car, the driver can get unlimited privileges, which essentially allows driving for any reason while under suspension. Under the old law, for a driver’s first OVI conviction, the minimum length of a license suspension was only six months. Under Annie’s Law, the minimum is now one year unless the driver agrees to have an ignition interlock device installed on the car, and then the minimum suspension is only six months. Further, if a driver agrees to accept an interlock device, the three-day mandatory jail time for the first OVI conviction must be suspended. The new law creates an incentive to use interlock devices. However, there are drawbacks. First, interlock devices are expensive. You have to pay out-of-pocket to have them installed and operated. The fees for installation range from $200 to $300 and the cost of operating the interlock device is between $100 to $200 per month. There can also be fees to have it removed. The estimated cost of having an interlock device installed for a six-month suspension can range between $800 and $1,500, not including any court costs, fines, driver intervention classes, or attorney’s fees. The second major drawback is that interlock devices are visually obvious and can be embarrassing. For some people in certain areas of employment, the mere sight of one of these devices could cause them to lose their job. Finally, the technology is not perfect. The risk of a false positive is very real and the consequences of a positive test could be extremely detrimental. There is a list of items that could cause a false positive, such as mouthwash and certain food items. Consider consulting with legal counsel with experience in representing clients in OVI matters before agreeing to accept an interlock device. An OVI conviction can affect a person’s life beyond just the out-of-pocket expenses, the suspended license, and the points on a license. For some professionals who must maintain a license, such as doctors, nurses, teachers, attorneys, or people who drive for a living or have to maintain security clearances, an OVI conviction can derail a professional career as well. If you or someone you know is cited for an OVI, it is extremely important to have experienced legal representation as soon as possible to protect your rights and ensure that you make the best decisions during the legal process. Additionally, navigating the administrative and legal process involved in these cases is overwhelming unless you have legal counsel who can guide you through it. Walter A. 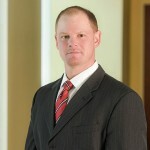 “Scott” Lucas represents clients in white collar criminal matters and other complex civil and criminal litigation in both state and federal courts throughout the state of Ohio. Scott has a specific emphasis on state and federal criminal defense, complex civil litigation, white collar crime and related government/regulatory enforcement matters, business litigation, and professional disciplinary matters and administrative proceedings. He is a member of the Criminal Justice and Litigation Section of the American Bar Association. 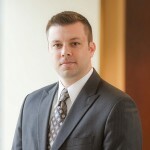 In addition, Scott serves as the secretary and is the former chair (2011-2012) of the Criminal Law Section of the Cleveland Metropolitan Bar Association and is a member of its Litigation Section. In December 2013, Scott was a presenter on the topic of “Closing Argument for the Defense,” at the Criminal Trial Essentials for New Prosecutors and Defense Attorneys Conference that was sponsored by the Akron Bar Association and the Summit County Prosecutor’s Office.